Demon weapon built from the stone archtrees. Used by lesser demons at North Undead Asylum. providing you have the strength to wield it. 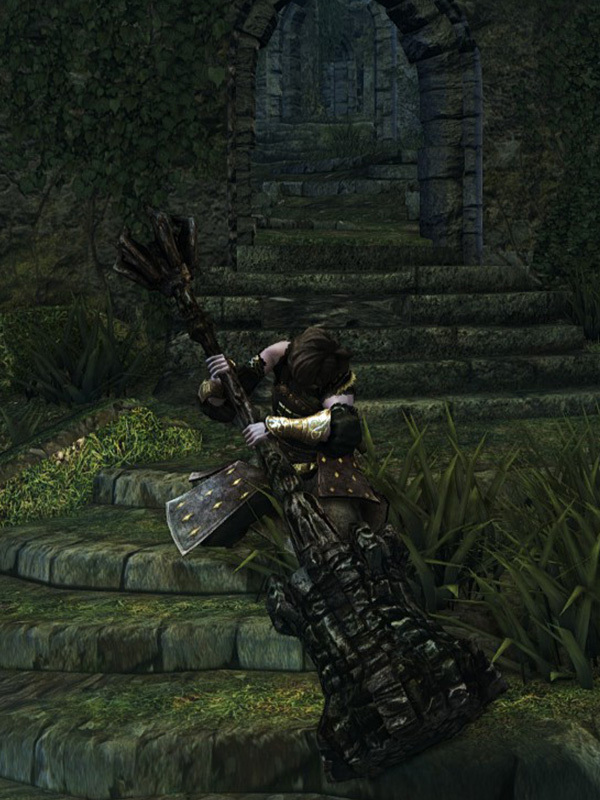 To assist in the Asylum Demon fight, choose Black Firebombs as a Gift or wait until NG+ to be able to beat him easier. Demon's Great Hammer durability reduced to 60. Base damage increased. Cannot repair weapon (except through reinforcement). Lighting Damage Added. All stat bonuses removed. Base damage reduced from magic upgrade path. Further reduced bonus damage from strength. Increased damage bonus from intelligence. Occult damage added. High damage bonus from faith. Chaos damage added. All stat bonuses removed. Scales with humanity.